Ornaments! $20. each sold out! 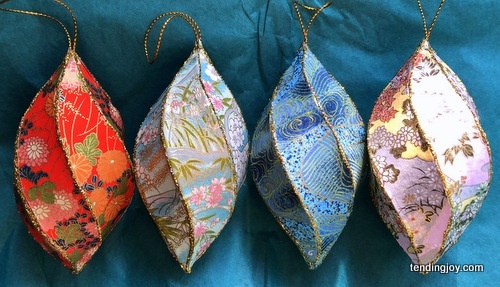 I make these ornaments by gluing Japanese paper around a 4 inch papier mache base. Each will arrive in a box with a gift tag.